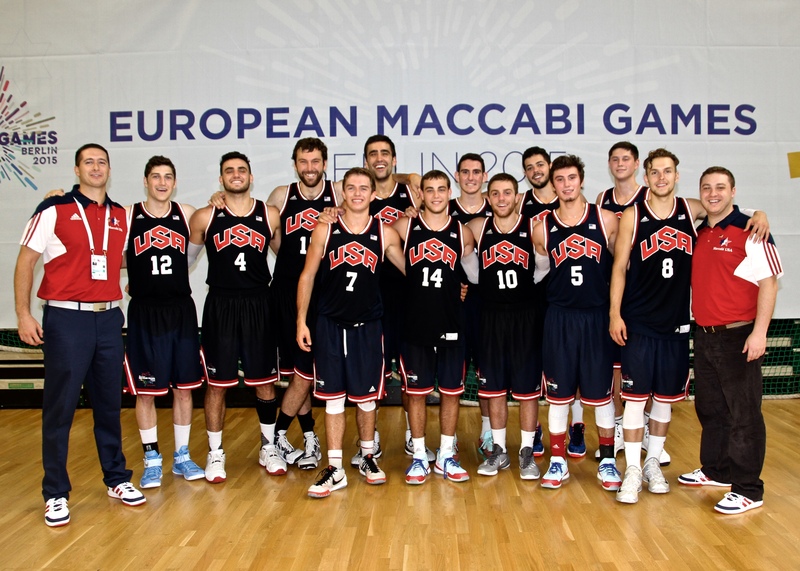 Representing Team USA at the European Maccabi Games in Berlin, Germany was a magical and unforgettable experience. I was only in Berlin for one Friday night, so myself and my friends planned on using the night to explore the popular Berlin club scene. Button-downs were ironed, jeans were put on and my Sperry’s were on point. We hung in the lobby until it was time to go before a message started floating around the group. We all had to go back upstairs and change into something more casual. A nice tee shirt or a v-neck perhaps, so we didn’t stand out as the overdressed Americans. It didn’t make sense. Forget that the five guys ahead of us all went in wearing tee shirts, what about the need to change back at the hotel!? We got back in the cab, ready to travel 40 minutes back to the hotel, steam coming out of many of our ears. I asked the cab driver to put on the radio. Maybe it would be distracting. What does he put on? Wake Me Up Before You Go-Go by Wham! We couldn’t help but laugh, it was that ridiculous. But that was my time in Berlin. Hysterical, nonsensical in so many ways, frustrating at times, but ultimately unforgettable. Frankly it’s impossible to distill a 12 day trip to Germany for the European Maccabi Games into a brief enough post on this website to keep everyone’s attention. There are countless “you had to be there” moments and inside jokes, innumerable good times and more heartbreak in the gold medal game than I care to share. But it would be wrong to not acknowledge the past few weeks were some of the best times of my life, both as a person and a basketball coach. The basketball was incredibly high level, but as cliche as it may be, the people were even higher level. It was so much fun being able to work with Vassar head coach BJ Dunne after spending the past two years coaching against him. We were incredibly lucky in the group of 12 young men that we were able to assemble for our team. And honestly, being able to wear the three letters U, S and A across my chest was one of the greatest honors I could ever imagine. The trip was smooth sailing from the start. I hooked Coach Dunne and myself up with extra legroom seats on the seven-plus hour plane ride. Sure, losing a night of sleep was not easy, but we all sucked it up and experienced historic Berlin that first day. The Berlin Wall, the Brandenburg Gate, the Reichstag, Hitler’s bunker and so many more sites were things I had only seen in history textbooks and were now within an arm’s reach. The basketball portion of the trip was a pretty smooth start as well. We played Israel in game one and easily notched our first victory 89-45. Wyoming point guard Jeremy Lieberman led the squad with 20 points and the team was clicking on all cylinders. Game two the next day was one we were worried about. France had comfortably knocked off Germany the first day and featured four professional players, including maybe the best point guard I’ve ever coached against. I’m actually convinced he didn’t miss a single read off a ball screen for the entire tournament. Luckily, our guys were up to the challenge. We made a very good team look very average on our way to a 103-71 victory. Recent Yale & Northwestern graduate Jeremiah Kreisberg, who signed a contract with Maccabi Haifa just days before the tournament, led our team with 17 points and 18 rebounds. 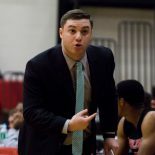 Cornell point guard Jojo Fallas chipped in with 16 points and defending UAA Rookie of the Year from NYU, Ross Udine, dropped 12. Up next was Russia who also featured a number of pros including a stud 17-year-old wing playing in the top Russian league and an absolutely enormous front line. The game was back and forth and we went into halftime holding a narrow 45-42 lead. The second half was not without stress, but our older guys took the reigns and led us to a big victory. Kreisberg finished with 21 points and 13 rebounds and Travis Warech who spent the past two seasons playing pro ball in Germany looked like a cold-blooded killer in the second-half, finishing with 17 points. After the weekend off, we wiped the floor with an overmatched German team. Our spot in the gold medal game was already clinched and a 60-30 lead at halftime allowed all 12 players to play significant minutes and every single player made the score sheet in a 99-47 win. Wyoming point guard Jeremy Lieberman showed why he’s a Mountain West player, finishing with 21 points and more broken ankles than the German athletic trainer could keep up with. Game 5 was for everything. The Gold Medal game against Russia. Playing the Russians in Berlin, Germany – the city where the Cold War started. I’m not typically one for embellishment, but this game felt way more important than just a basketball game. We started off hot, up 21-12 at the end of the first quarter. In fact, Fallas was tied with the whole Russian team, 12-12 at the end of the first quarter. But things slowed for the red, white and blue as foul trouble messed with our flow and rotations. Russia took the lead late in the half with a 15-1 run and led 41-36 going into break. The game see-sawed throughout the second half, but ultimately the Russians got the better of us, winning the gold medal by a final score of 98-87. Fallas showed why he’s going to make Cornell fans very happy next season dropping 28 points, and Kreisberg finished with 22 points. We had been playing a seven-man rotation for the tournament and four of those players fouled out and another two had four fouls each. We needed to dive deep into our bag of tricks and we were not able to do it against a talented and well-coached Russian team that confused us with a 3-2 zone. It was also very difficult to match up with a team whose front line is listed at 7’0″, 6’10”, 6’8″. Their 17-year-old pro finished with 33 points. Each and every one of us was overtaken by emotion after the game. I’ll never forget the feeling of staring up at that scoreboard in heartbreak and eventually sharing a hug with every single player, thanking them for playing as hard as they did for us no matter the outcome. Tears were shed, no doubt, and it was hard to see these guys get so upset. It was difficult facing the parents who were there and nothing but supportive. I wanted to give them something to take home that was golden. Nevertheless, silver or gold, the experience was remarkable. I met some of the most amazing people I could ever imagine over in Germany. People I plan on being friends with for life, people I plan on following throughout their careers and people I plan on rooting for at every stage of their lives. Thank you to everyone who made this trip possible for me and those who made it so special. The dream is to try to bring the crew back together in Israel for the 2017 games, but it may be impossible to top 2015 in Berlin. This entry was posted on August 12, 2015 by Coach Sass in Coaching, Miscellaneous.